You got in a wreck and your insurance company is refusing to pay. Or maybe you are unhappy with the amount of the settlement, or have a dispute in coverage. Who do you call to file a complaint? Well, in nearly all fifty states of the US and their respective territories, there are Insurance Departments ready to field complaints and possibly investigate. Before contacting anyone at the State level, it is best to speak with your insurance agent and the company's complaint department. The state is going to ask you to do that, so save yourself the time and call your company first. Be sure to document the date, time and subject matter of your call, including the name of the person that you talked to. It's all about "CYA". Keep a file of all correspondence, replies, expenses, phone calls, and anything else you might need to Cover Your Argument. Also, read and re-read your policy. Don't trust your agent to give you every detail of the fine print. If you've already contacted your company, and you are unhappy with the response, or no course of action was taken by the insurance company, then it is time to file a complaint with the State Insurance Department. In some states they are called the Division of Insurance; others the Insurance department. But in either case, they are there to help with insurance consumer complaints, rectify any insurance disputes, handle complaints, and make sure companies are following the state and federal insurance laws. Typical problems that the insurance department will handle include: claim disputes, unfair premium adjustments and other premium problems, refund requests, adjustor disputes, fraudulent practices, policy cancellation, and sales falsification. 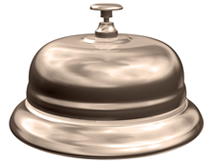 Insurance Departments have various ways to be contacted. Many have hotlines that you can call to determine if you have any legal basis for a formal complaint. These hotlines can save you, and the department, a lot of trouble. So call them first. In addition, nearly every state Insurance department has a web site and contact form. It may take a day or so, but this is also a good way to test the waters for the validity of your insurance complaint. Remember to always keep copies of anything that you send or email! While the Insurance Department is there to protect the consumer from unfair insurance practices, there are certain things they can not do. They can not act as your lawyer or give any sort of legal advice. They can't act as judge and jury when it is your word against the company; you must have some sort of documentation to back up any complaints. The insurance department also can not make any judgments in terms of medical conditions or injuries, they can only determine if an insurance company should be covering that injury based on your policy. And lastly, the Insurance Department can not give any estimate regarding damages. Once you have filed a formal complaint, realize that it will take anywhere from 10 to 30 business days for the complaint to be rectified. Be patient, and be sure to reply to any inquiries promptly. If the department finds in your favor, the insurance company may have to pay fines, have their license revoked, or endure some other penalty. 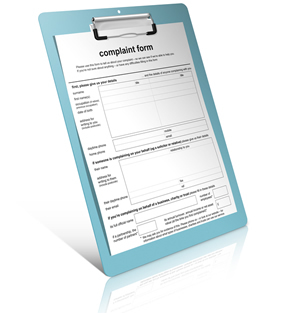 Companies are required to address these formal complaints in a timely fashion. And remember, just because you file a complaint, doesn't guarantee that insurance department will rule in your favor.